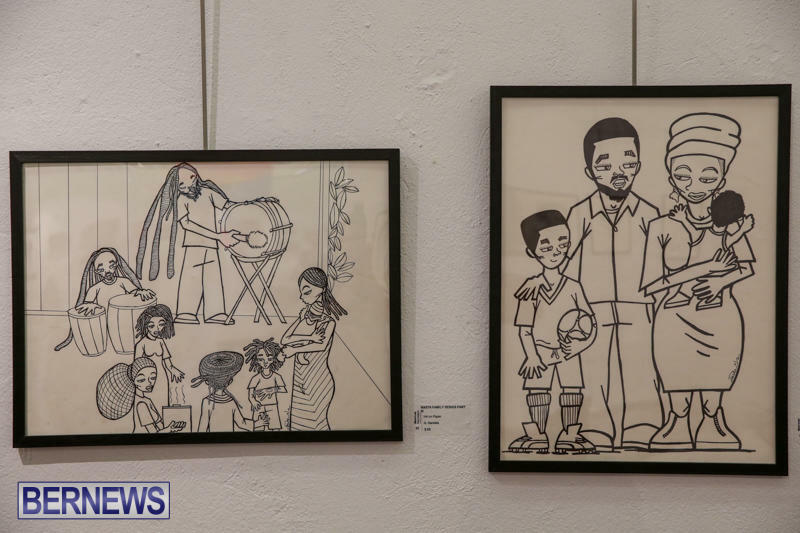 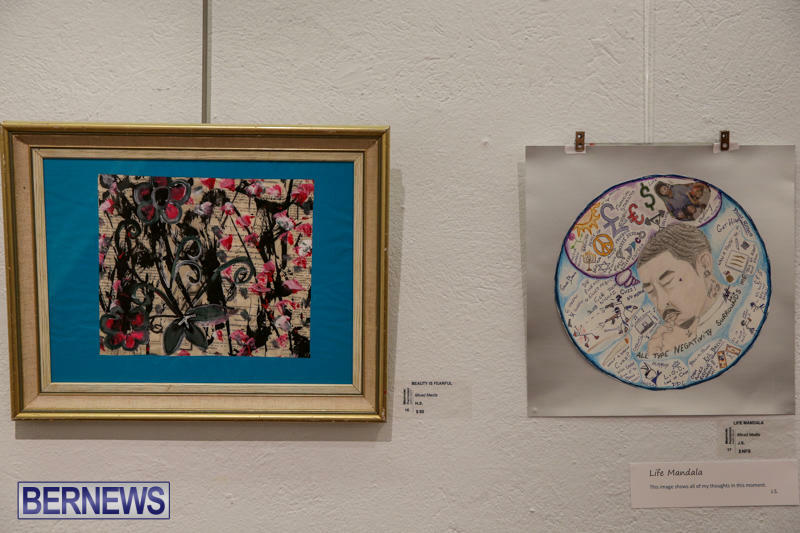 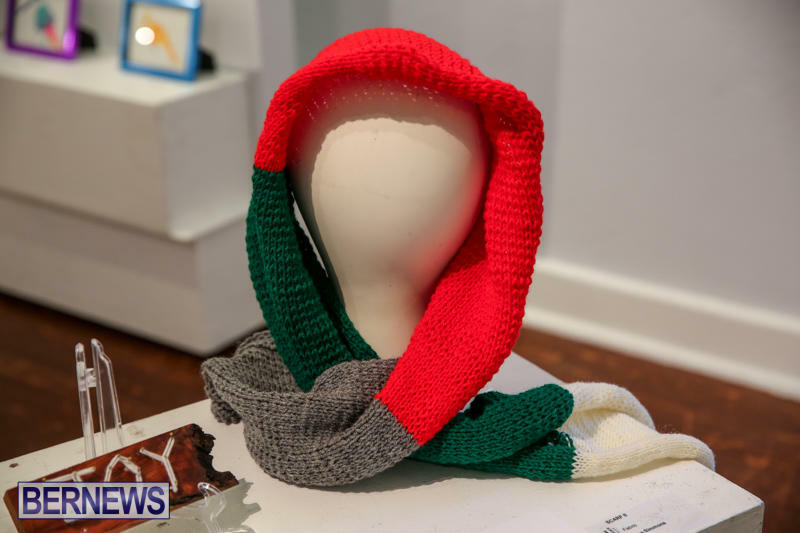 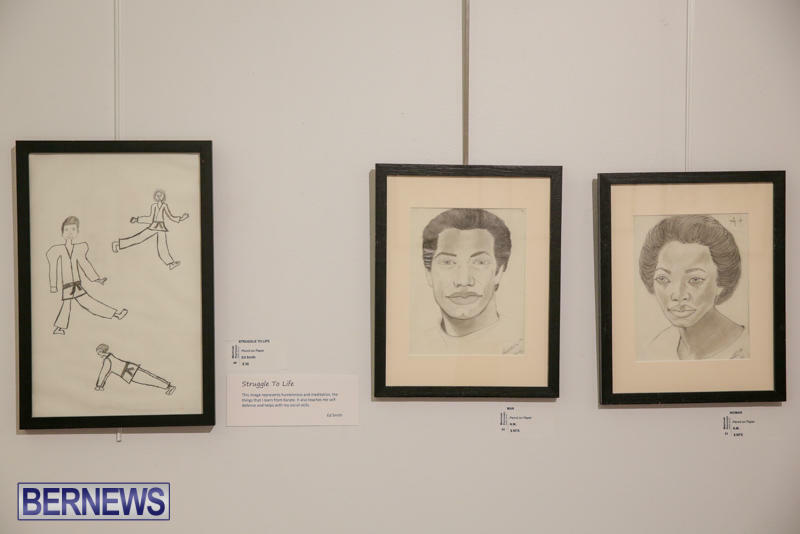 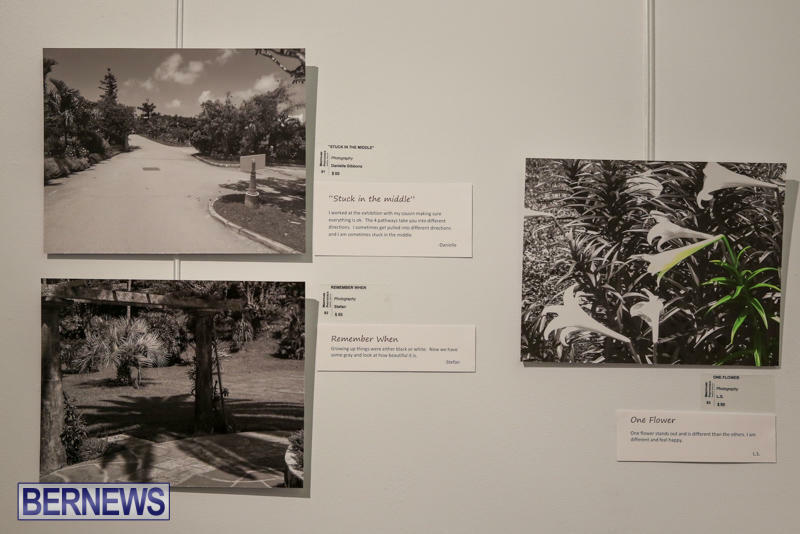 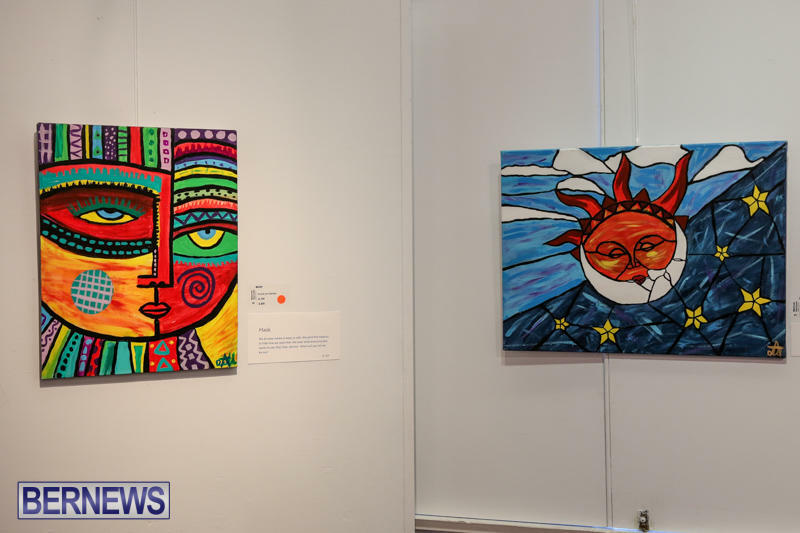 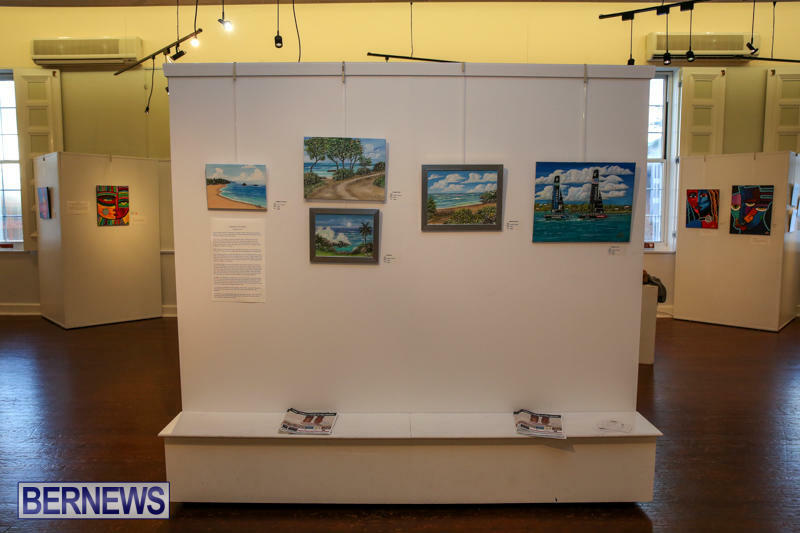 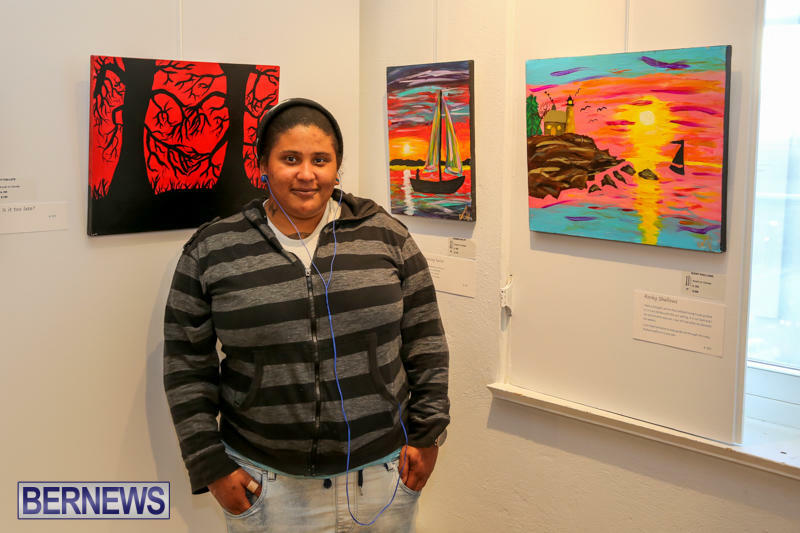 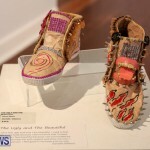 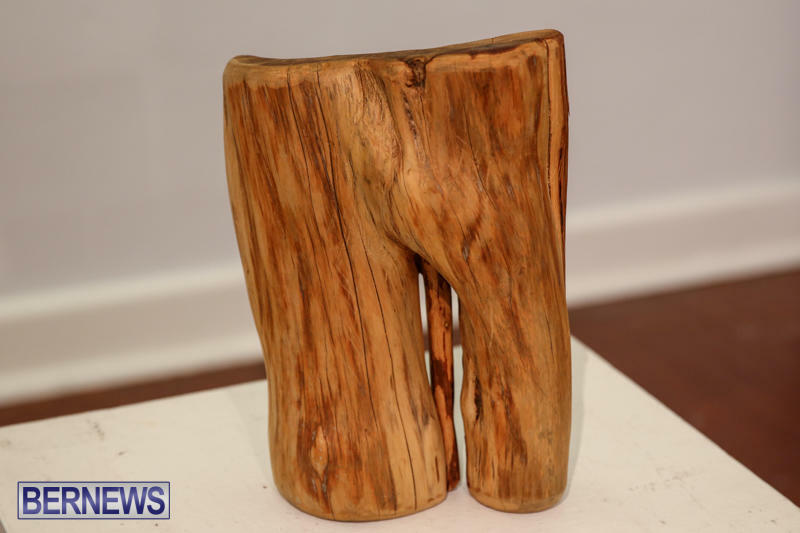 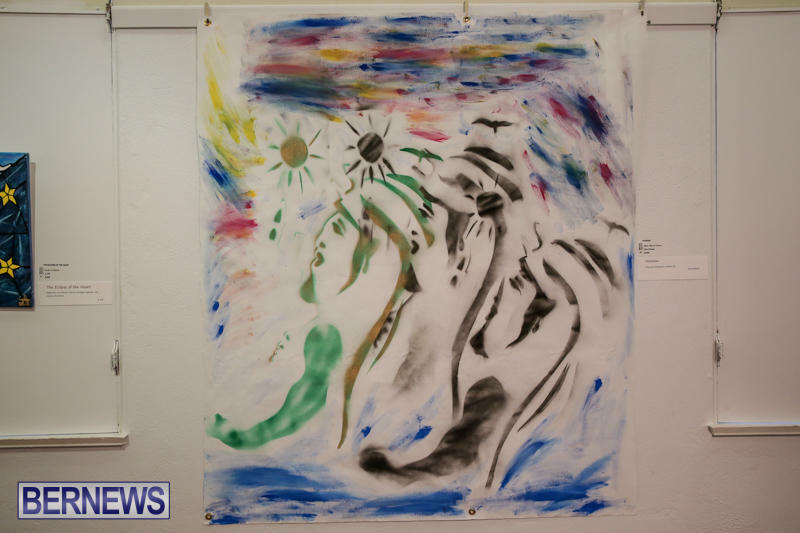 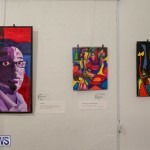 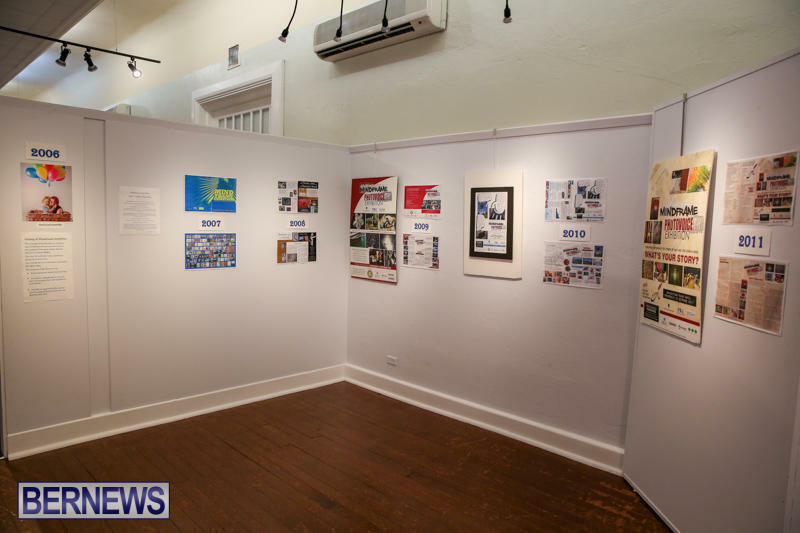 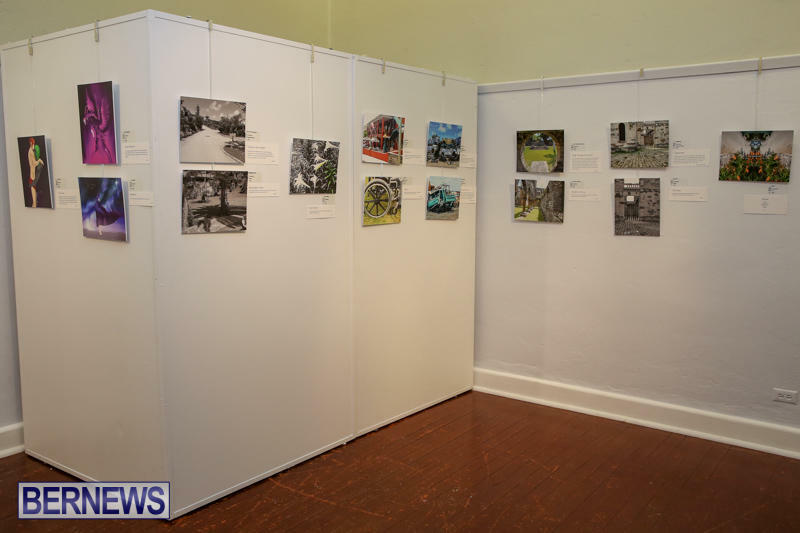 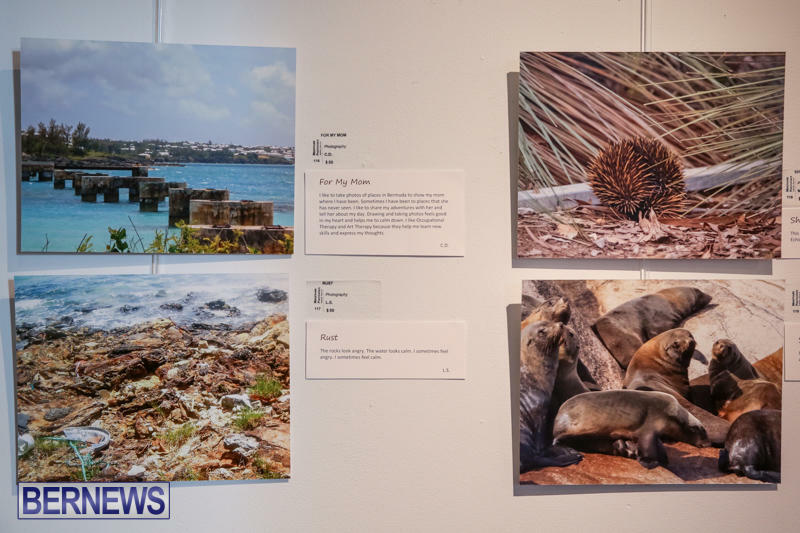 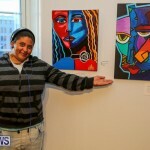 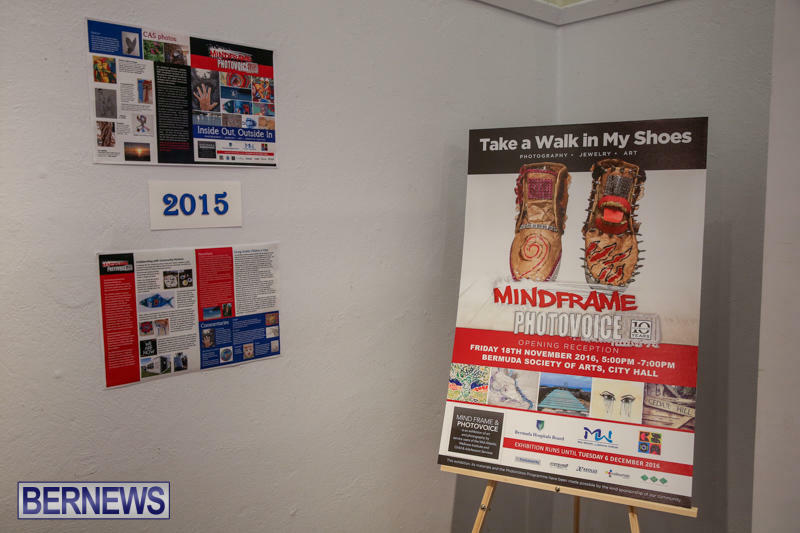 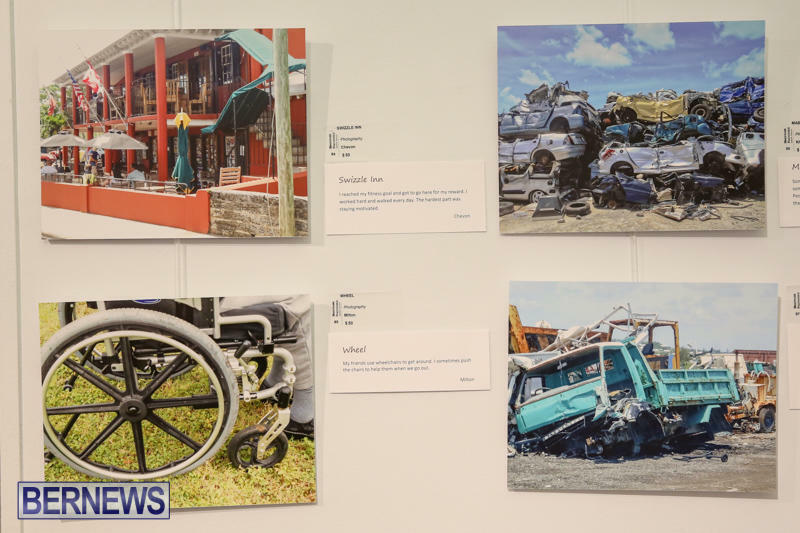 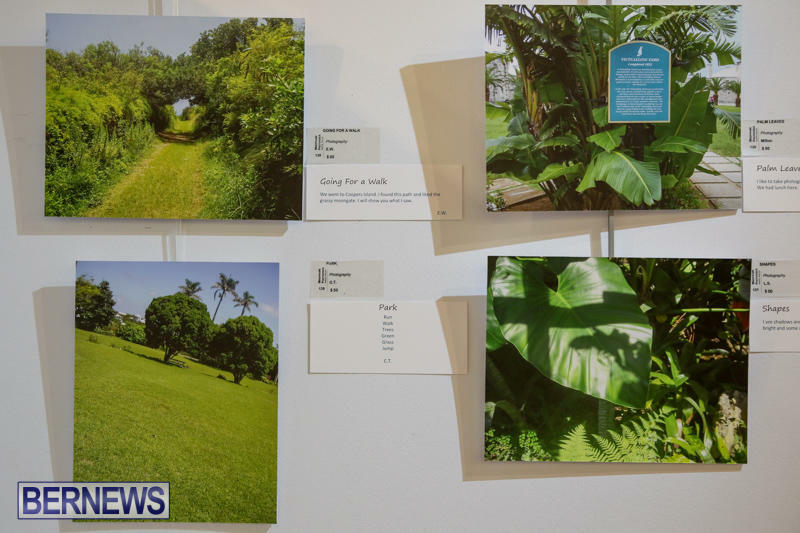 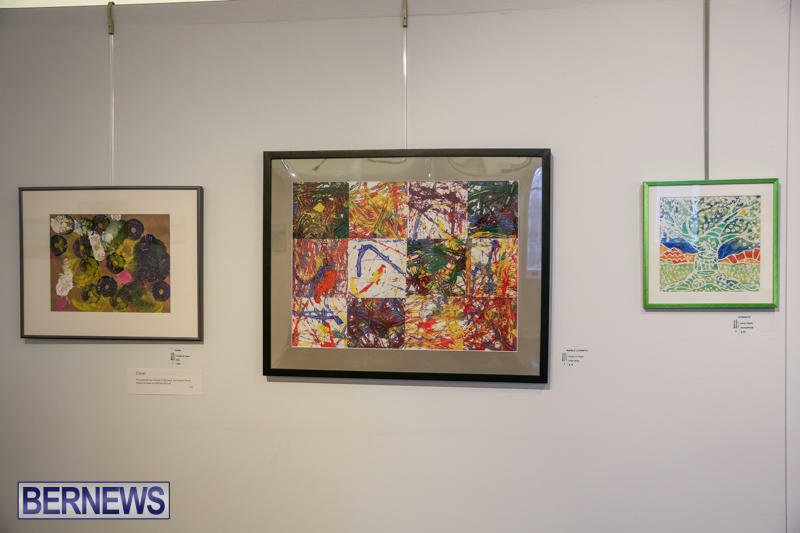 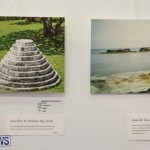 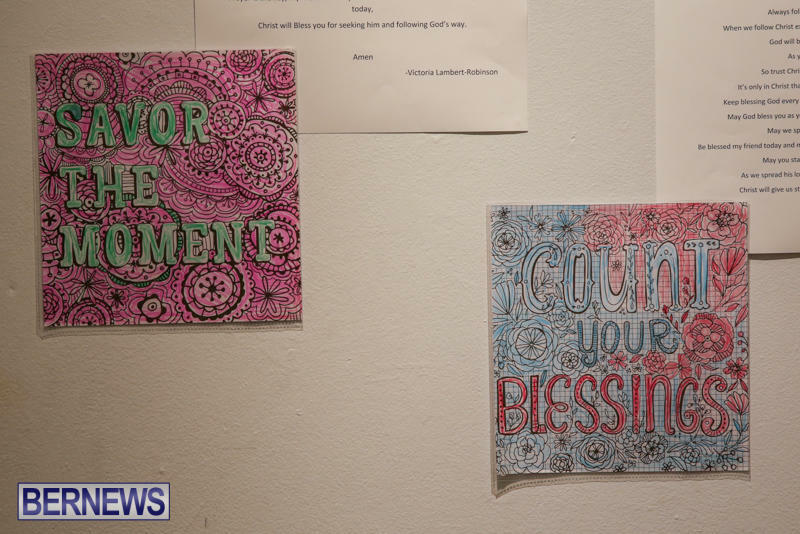 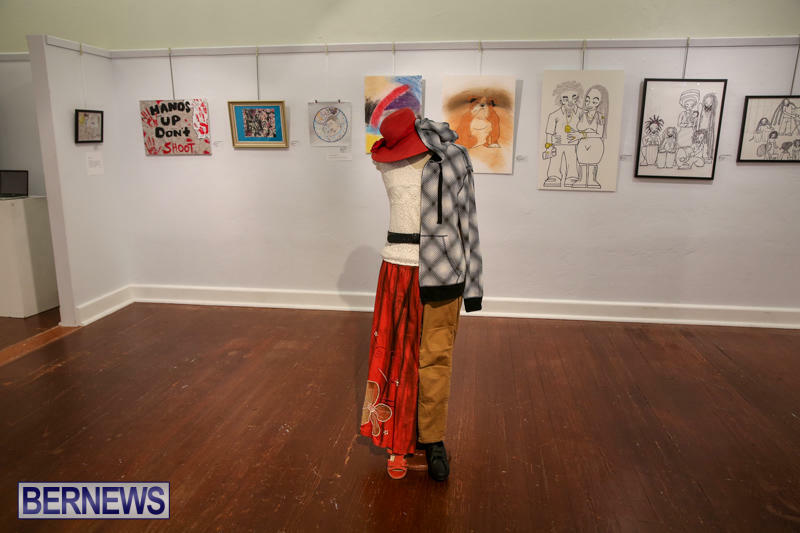 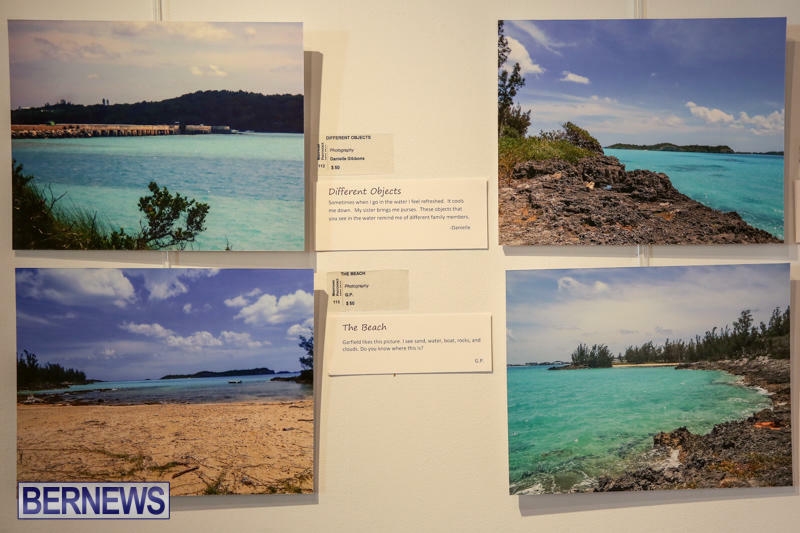 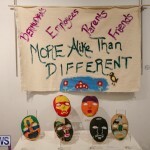 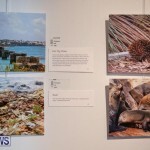 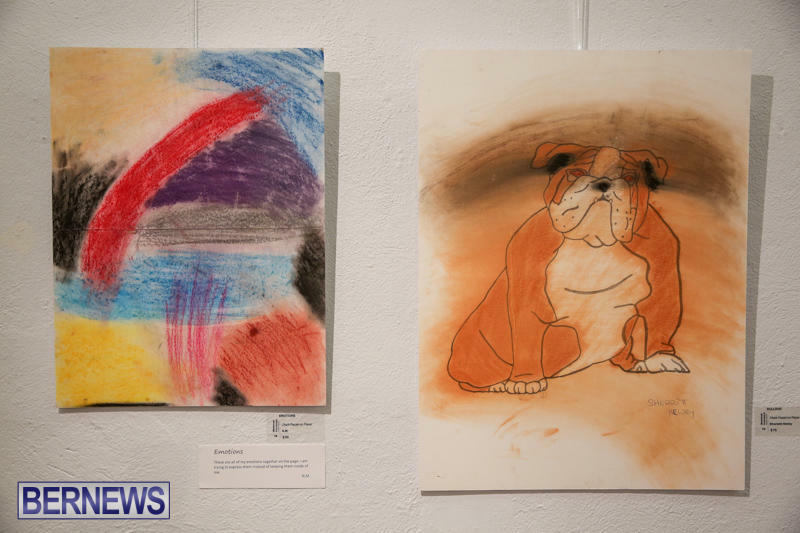 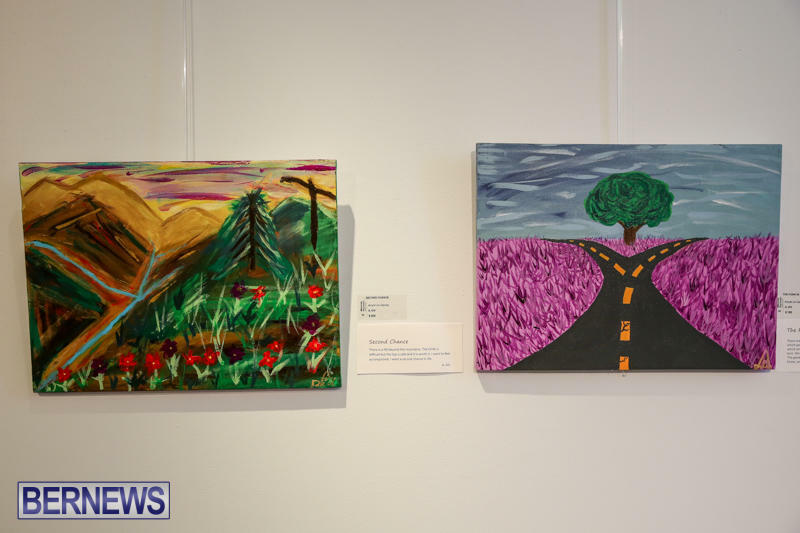 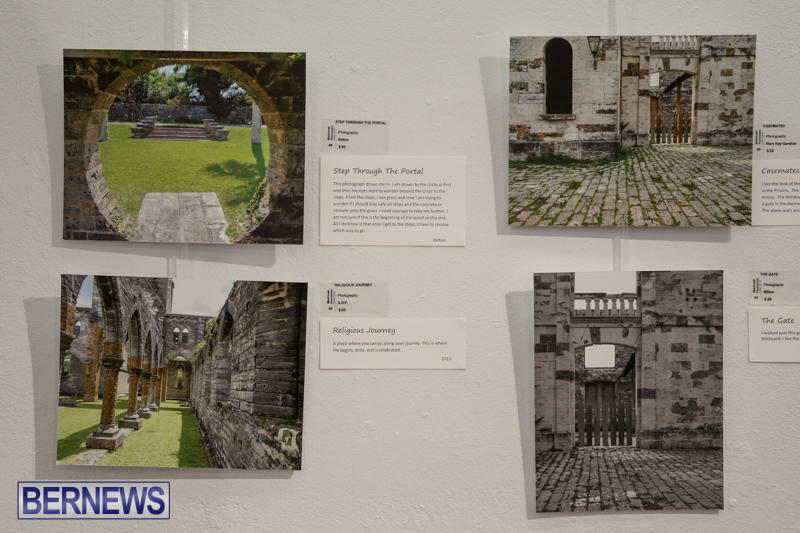 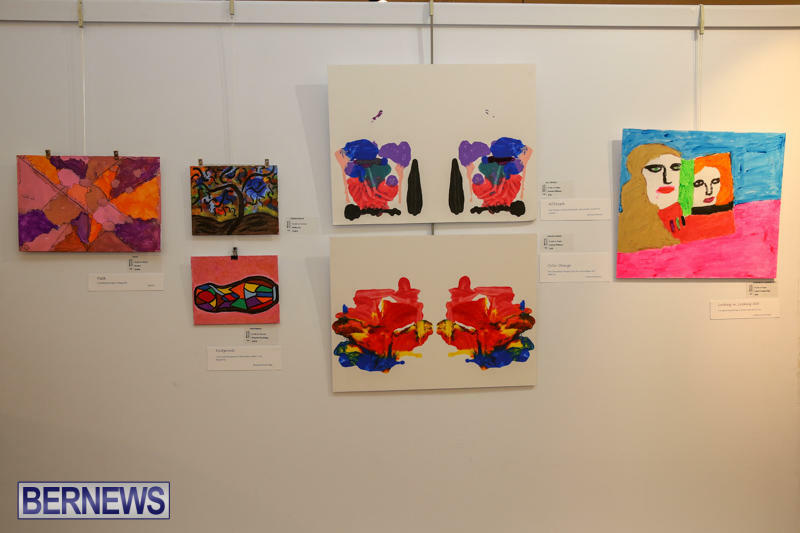 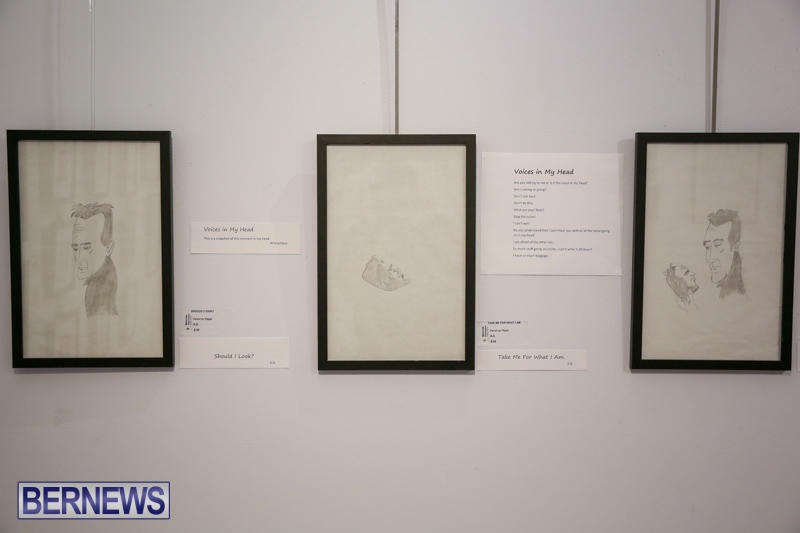 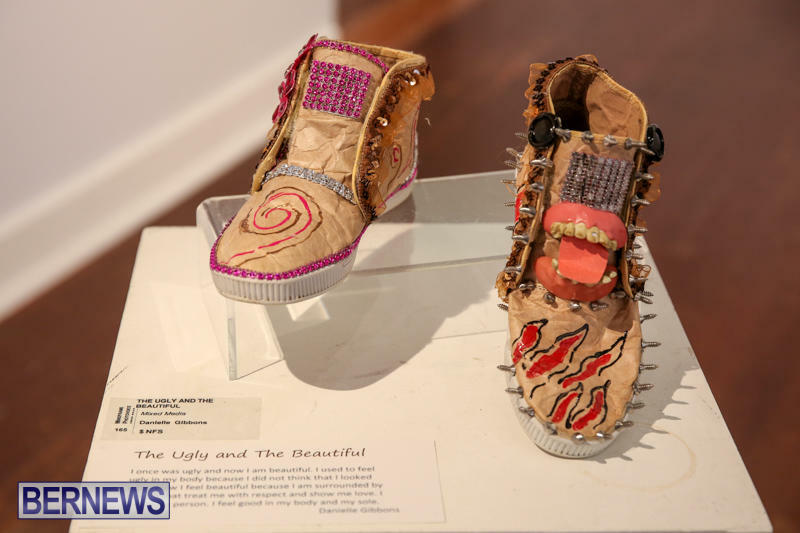 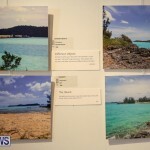 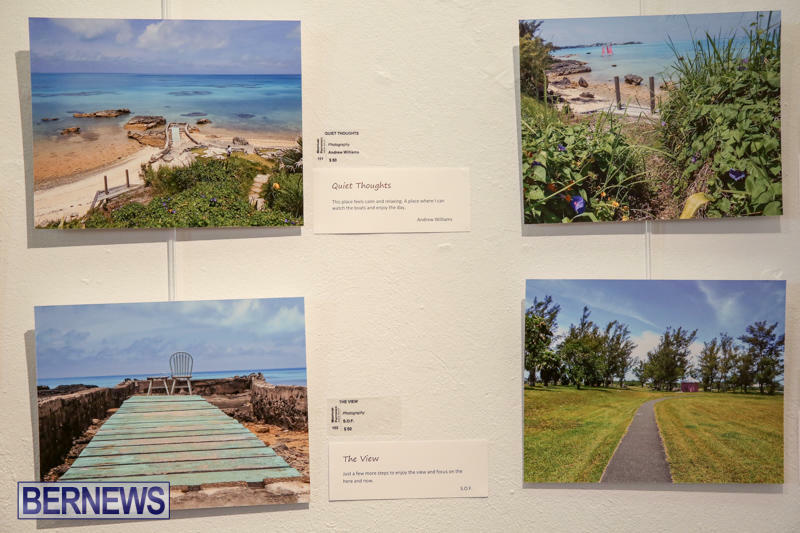 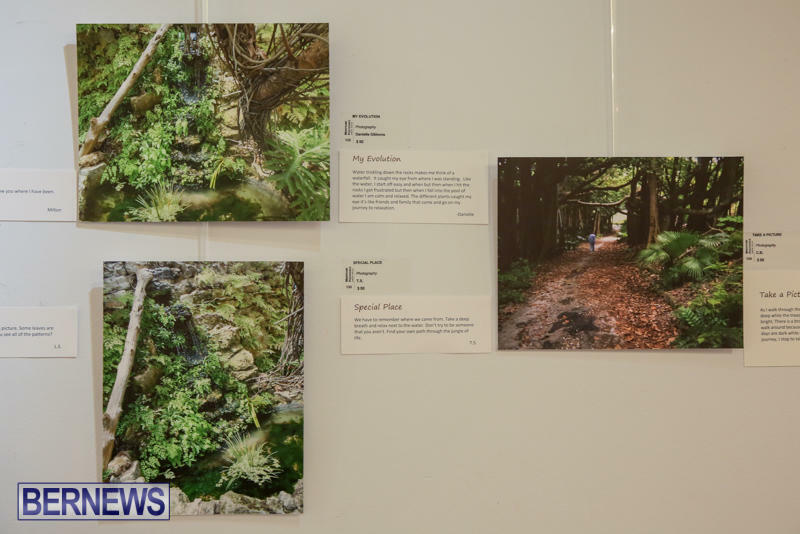 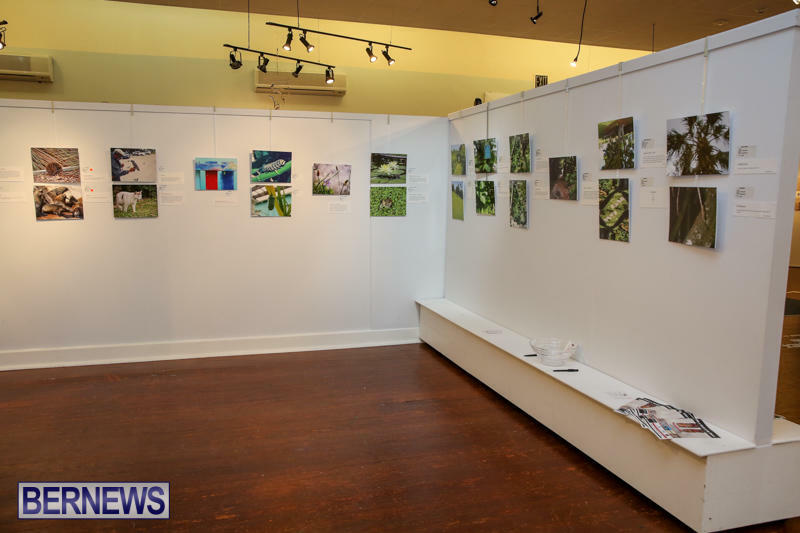 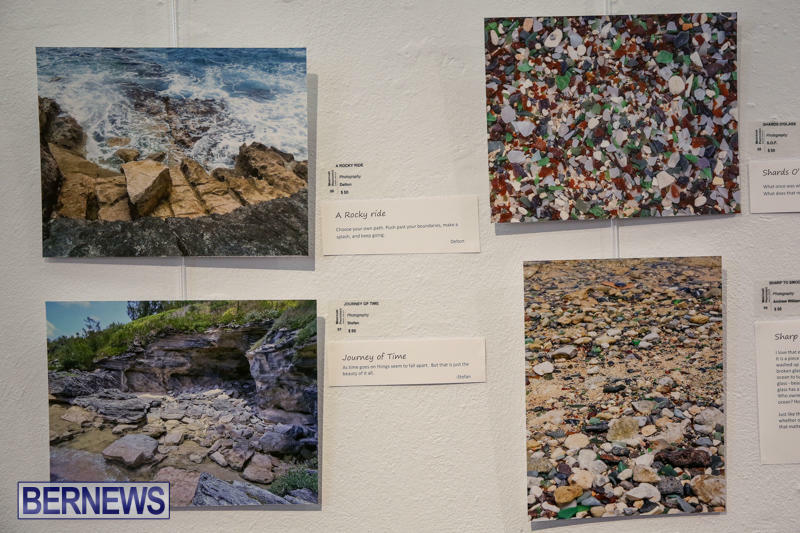 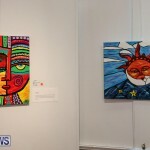 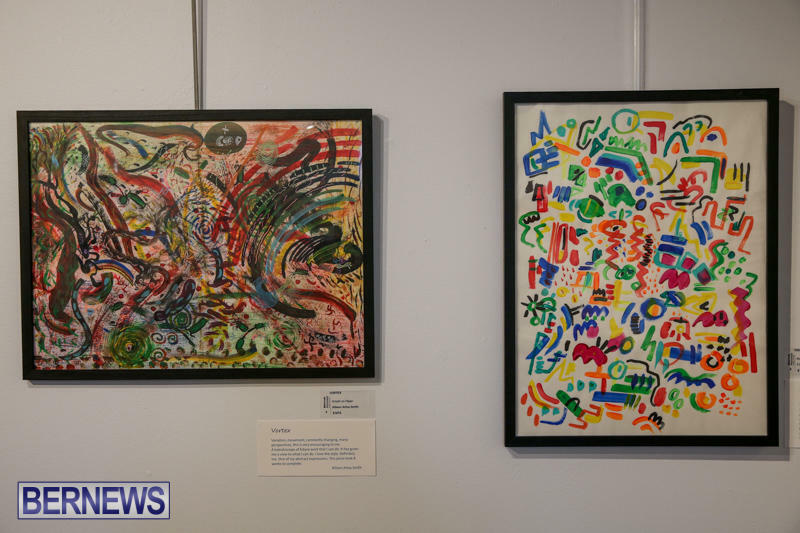 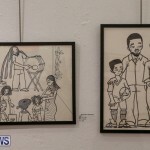 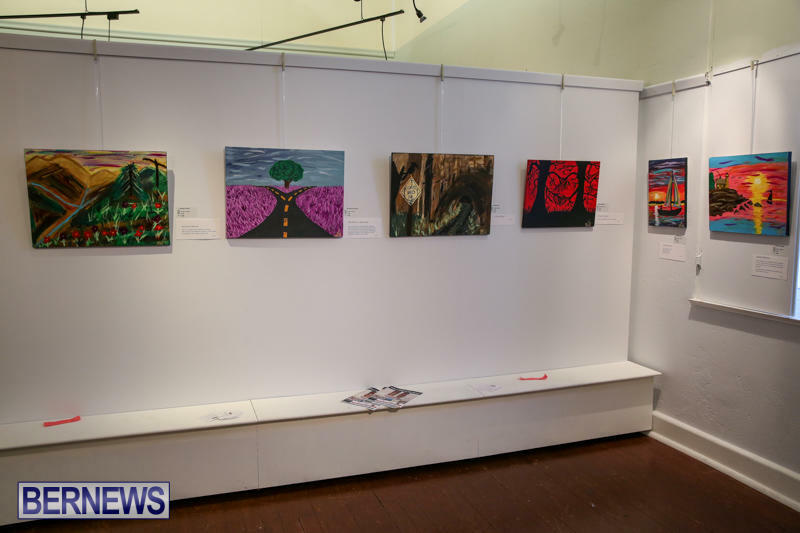 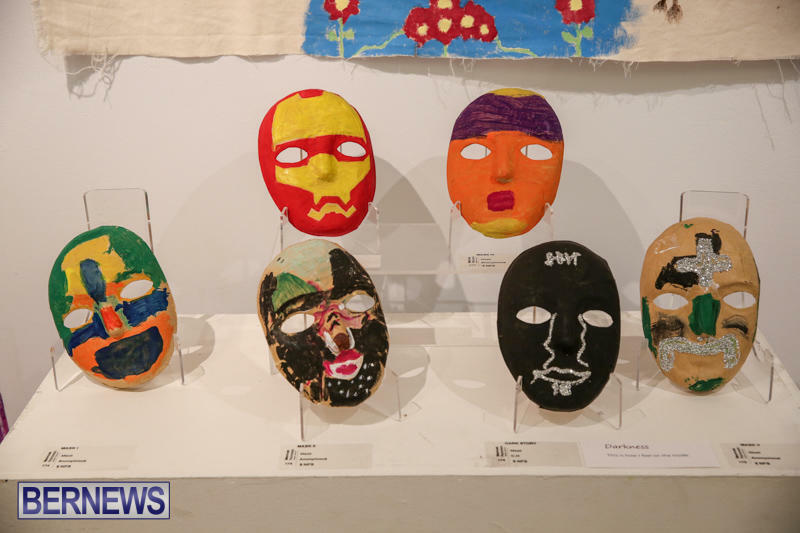 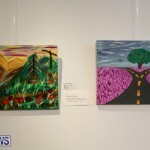 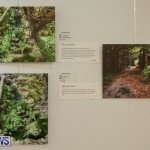 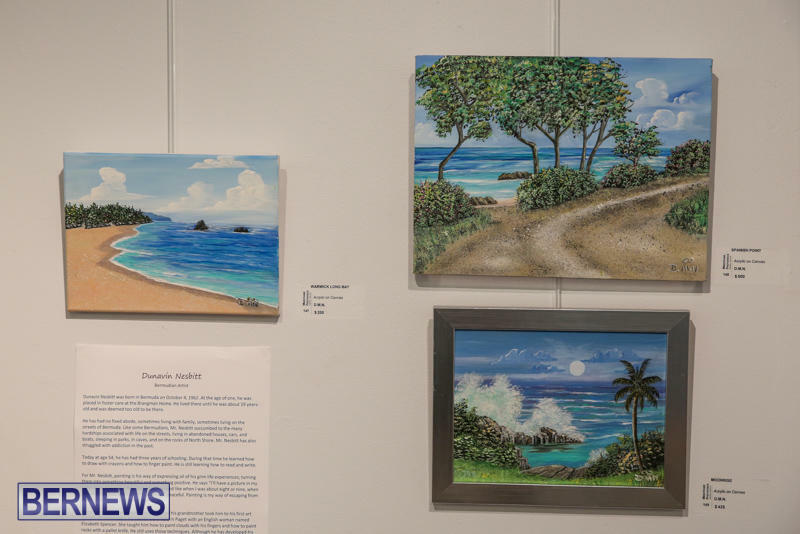 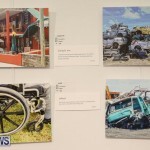 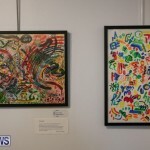 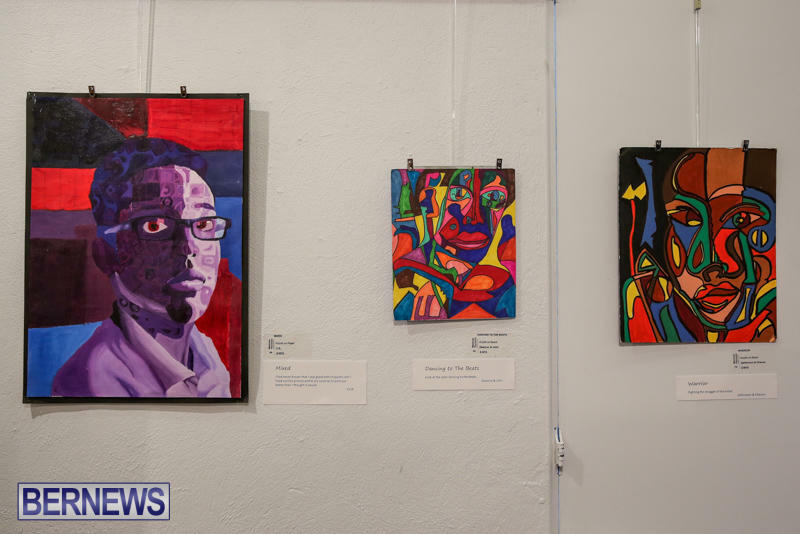 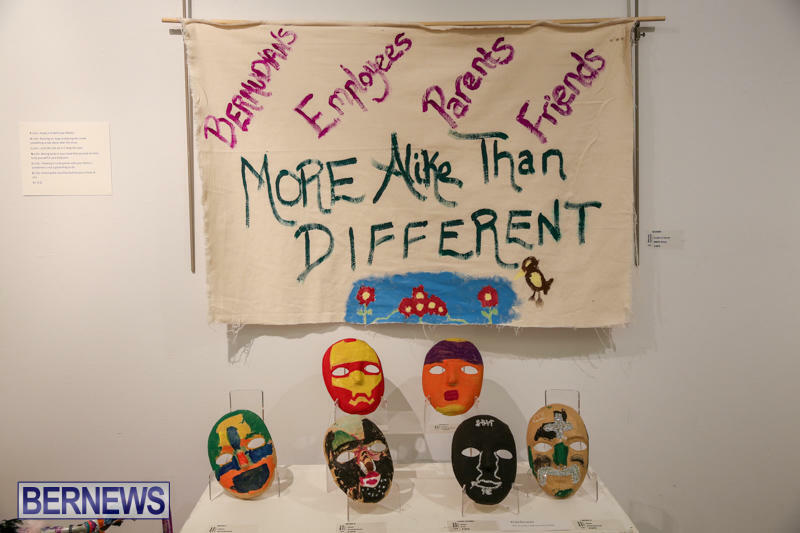 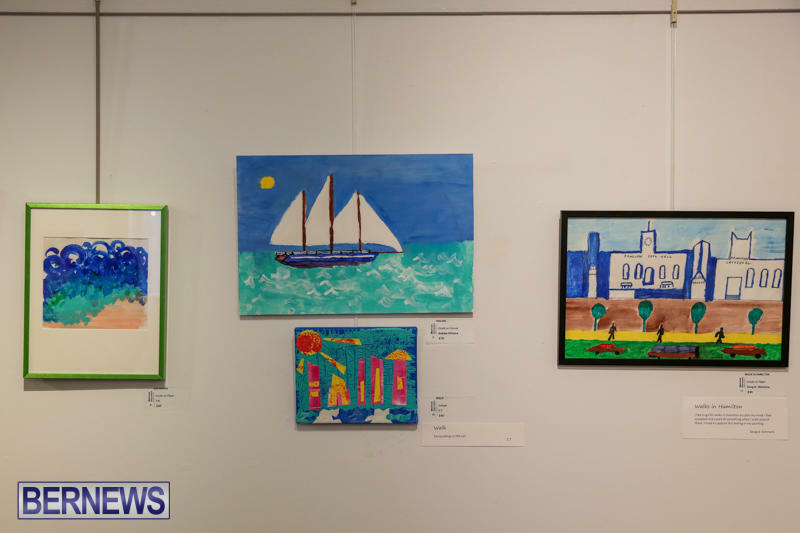 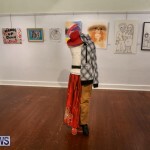 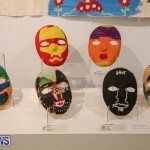 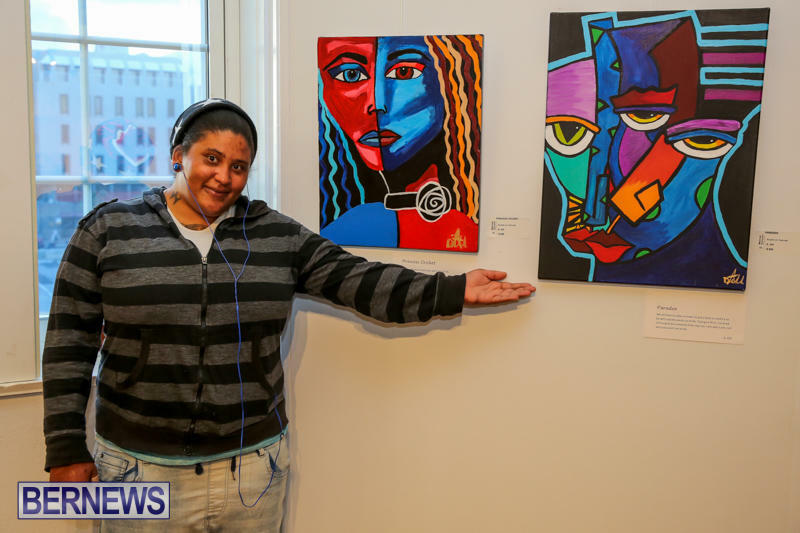 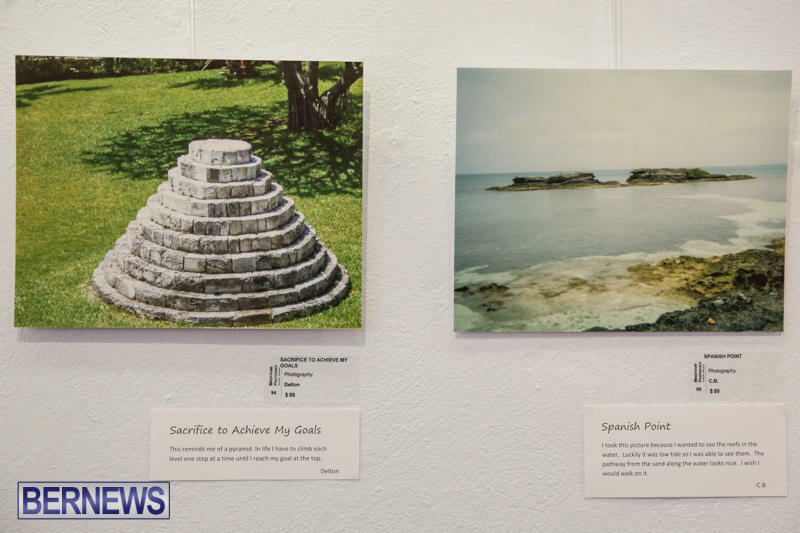 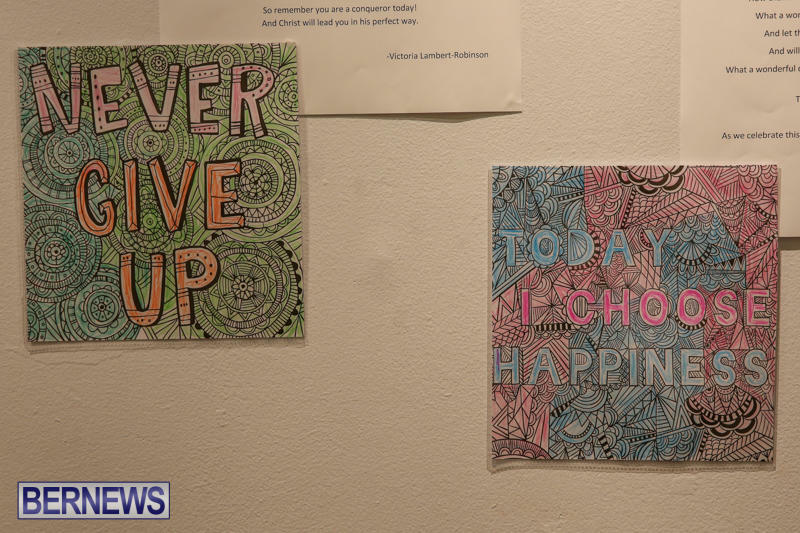 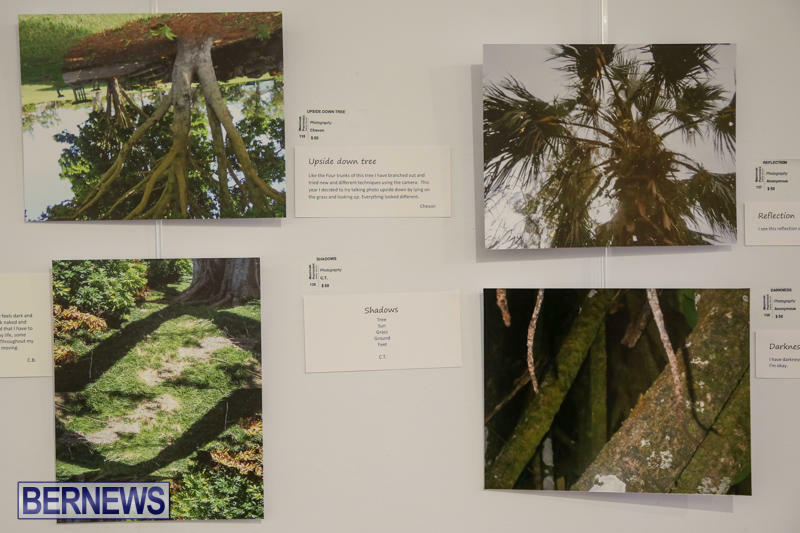 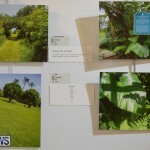 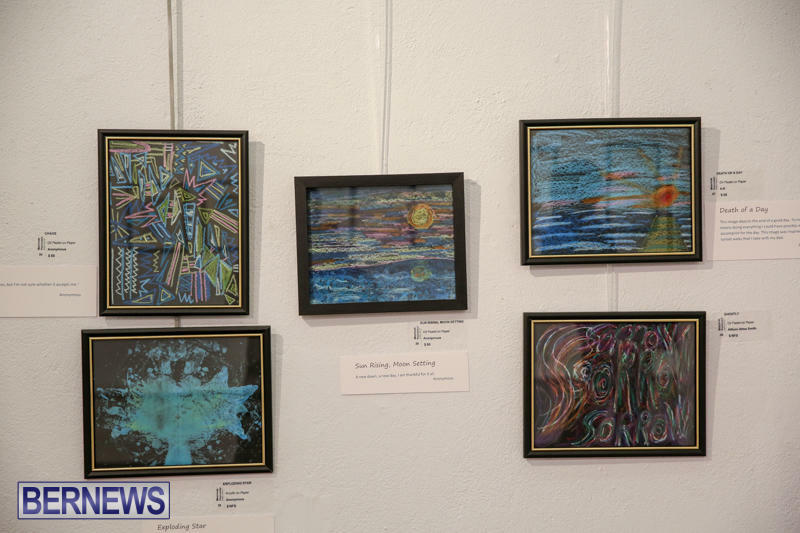 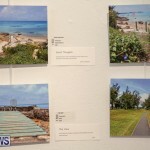 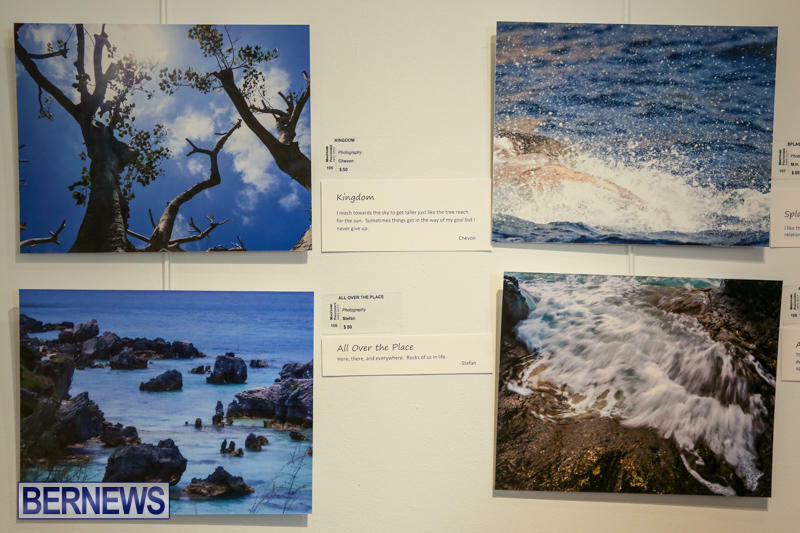 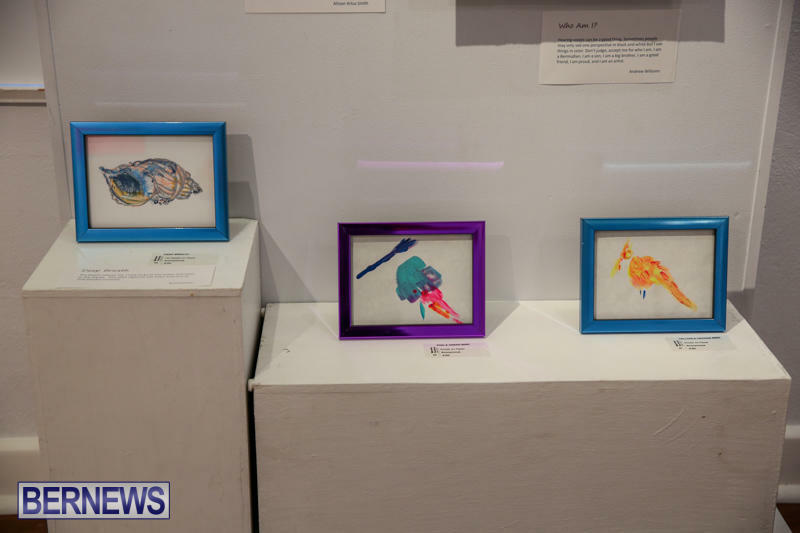 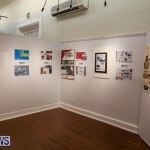 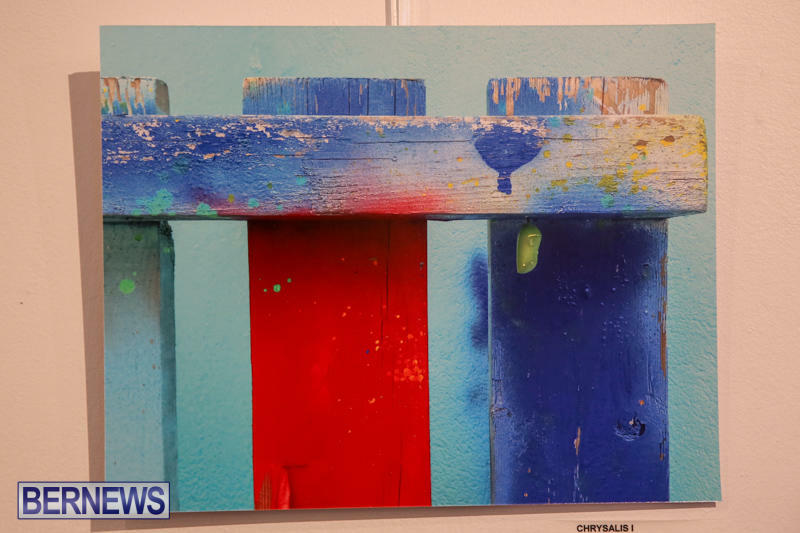 Mid-Atlantic Wellness Institute [MWI] service users are inviting people to come and ‘Take a Walk in My Shoes’ by visiting the MindFrame PhotoVoice Exhibition at the Bermuda Society of Arts at City Hall, with the exhibition set to run until Tuesday, December 6. 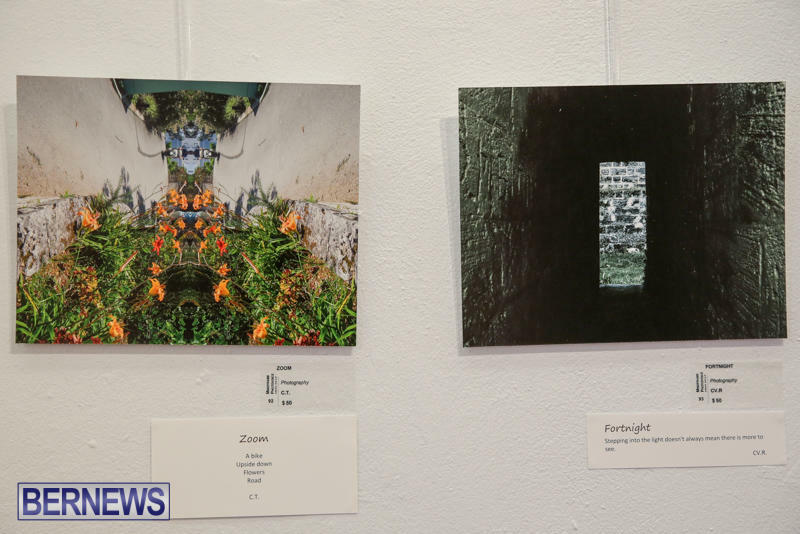 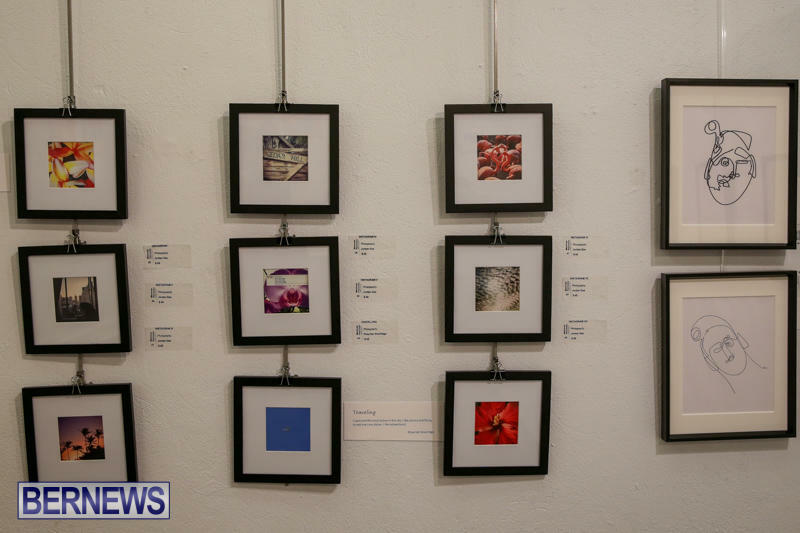 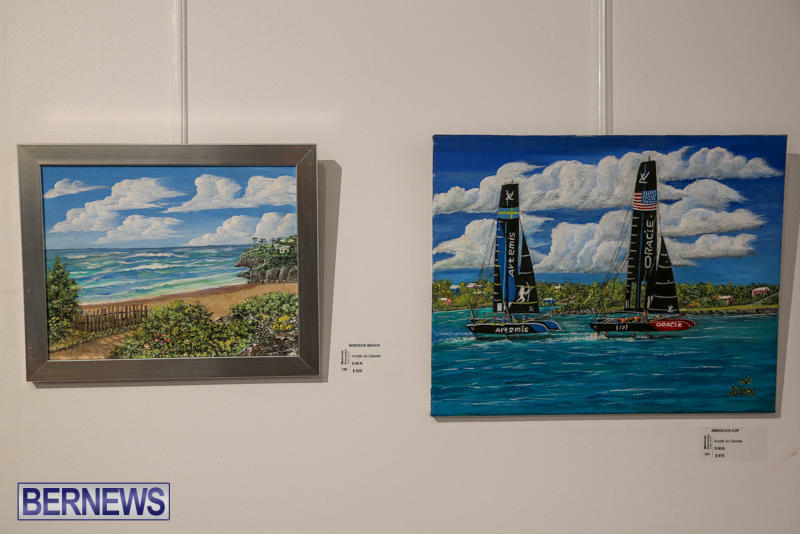 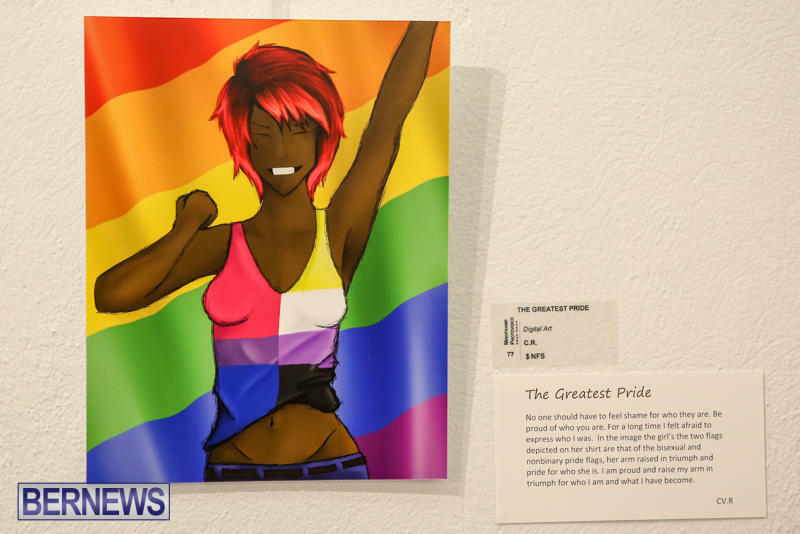 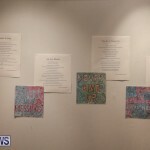 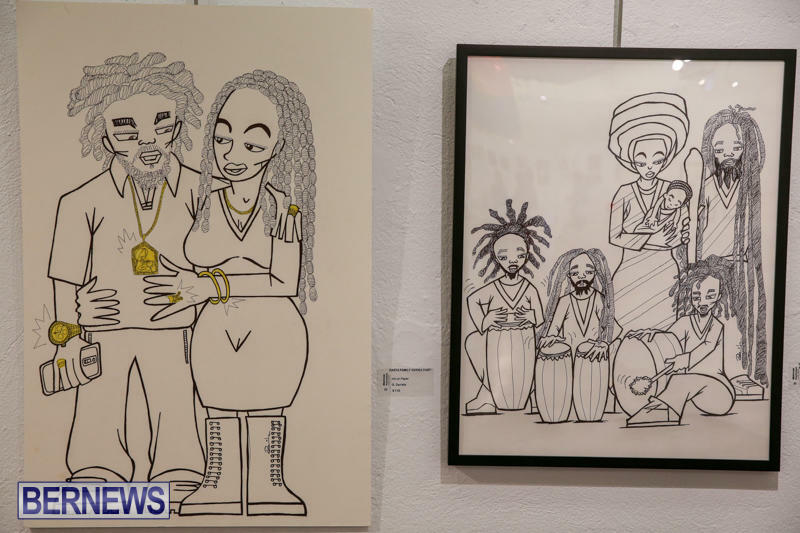 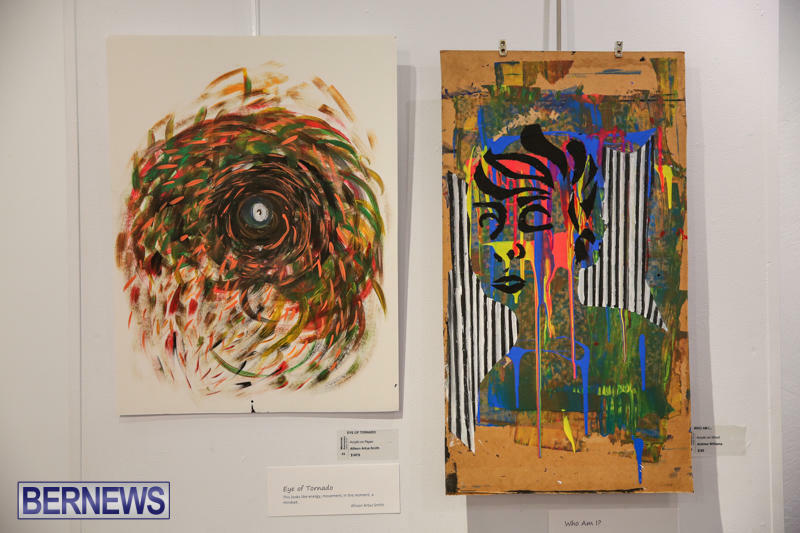 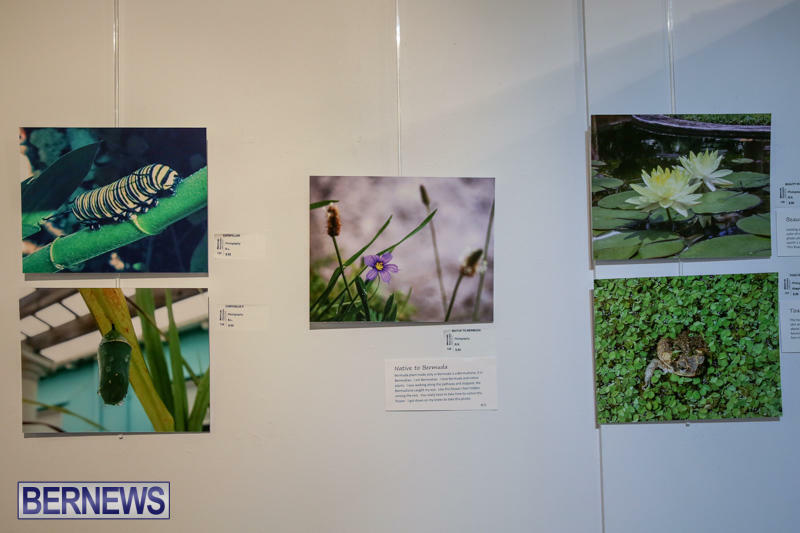 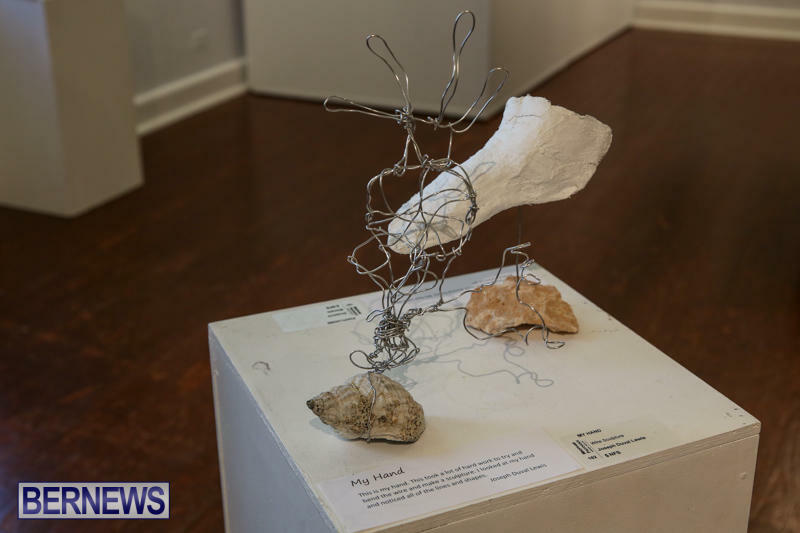 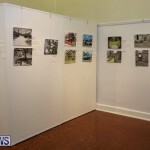 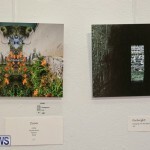 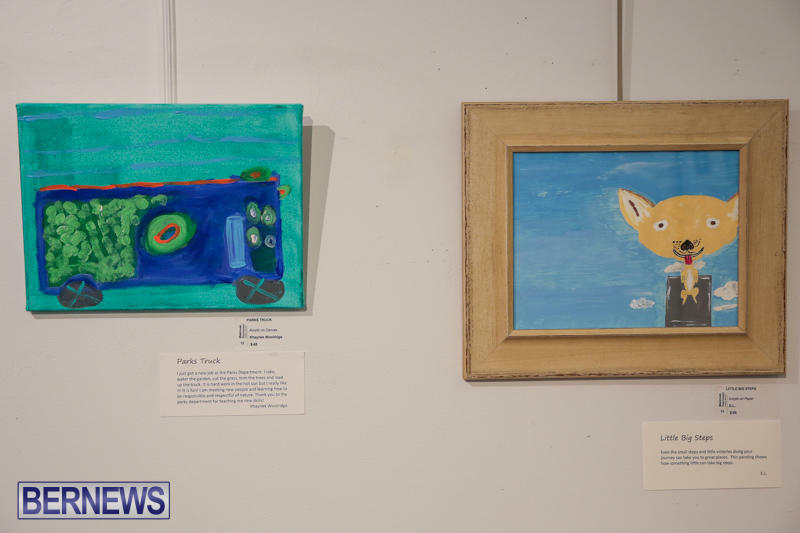 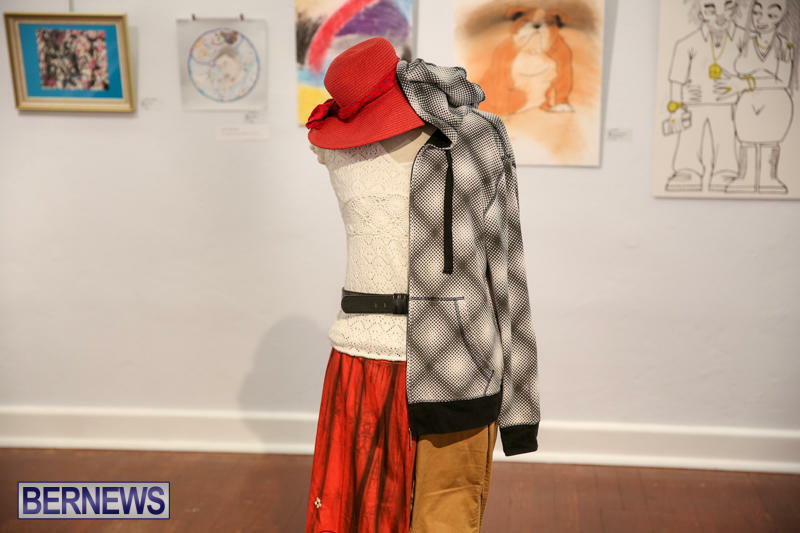 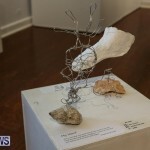 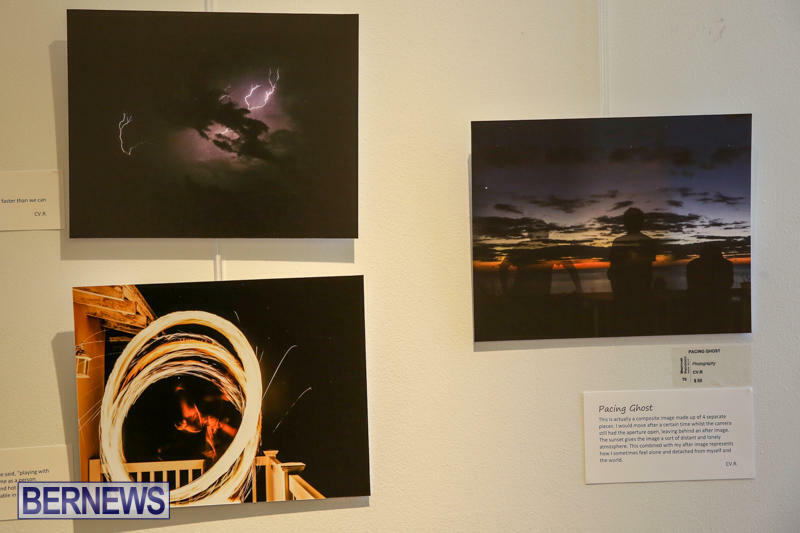 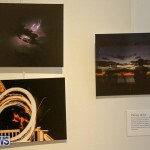 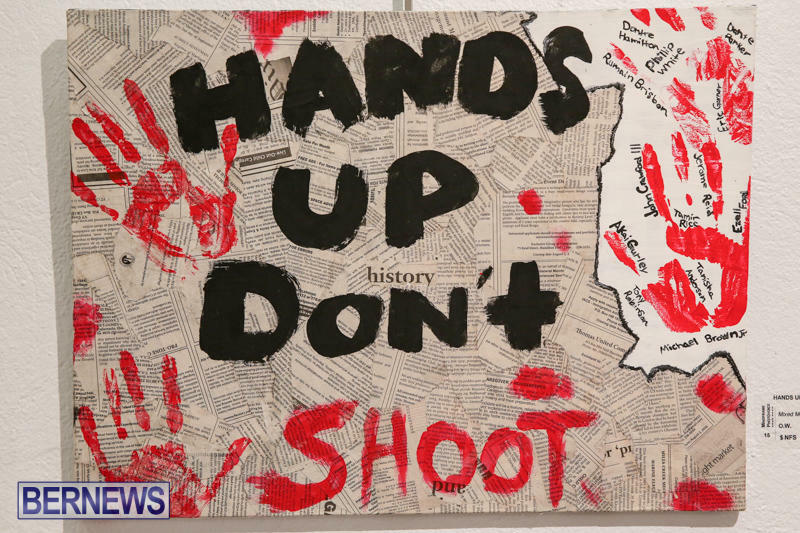 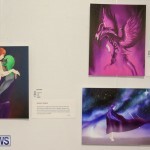 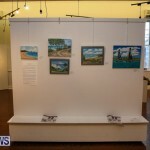 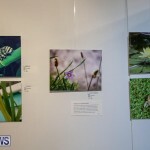 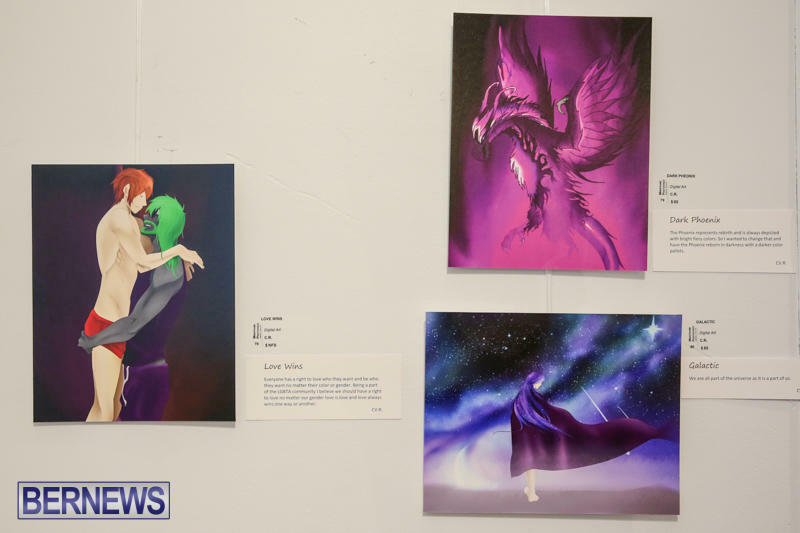 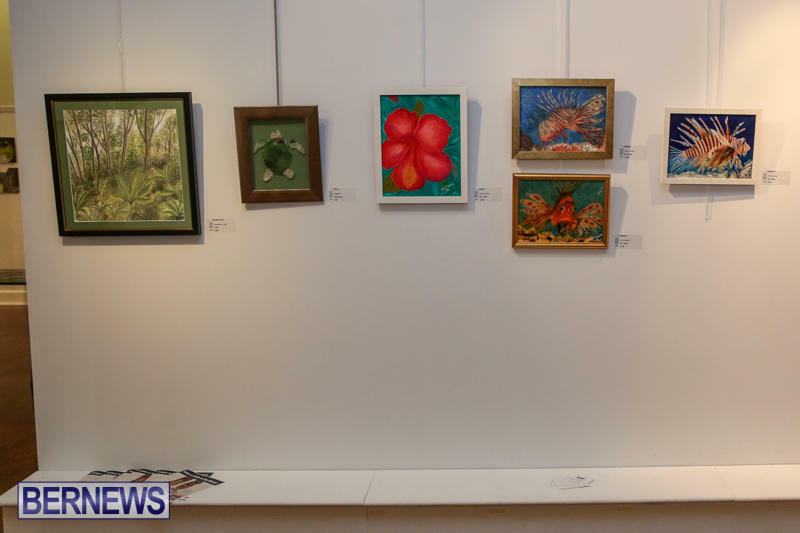 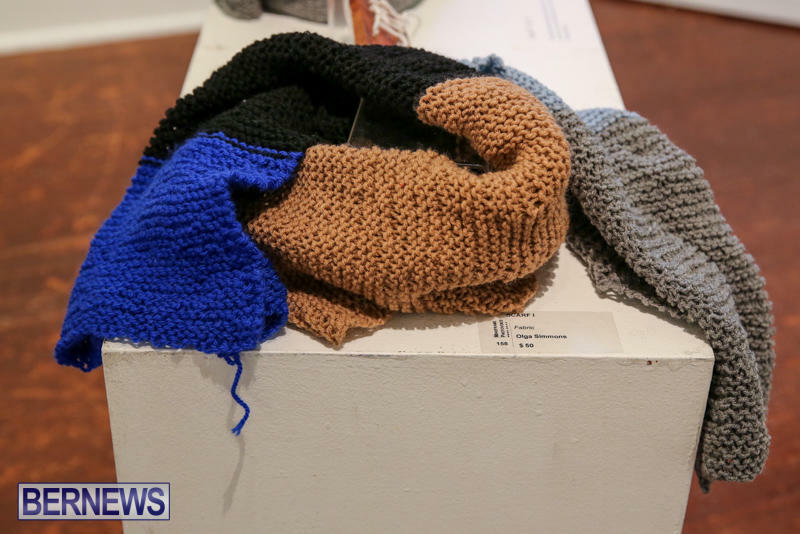 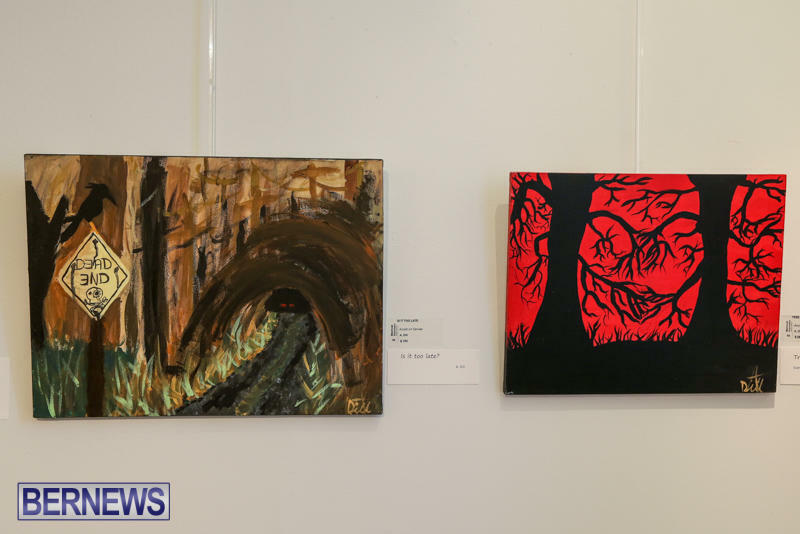 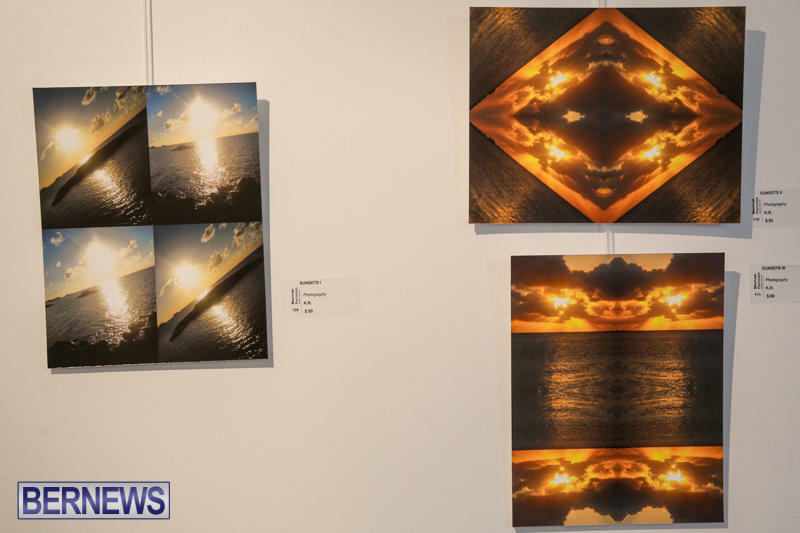 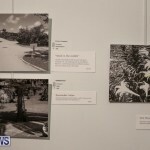 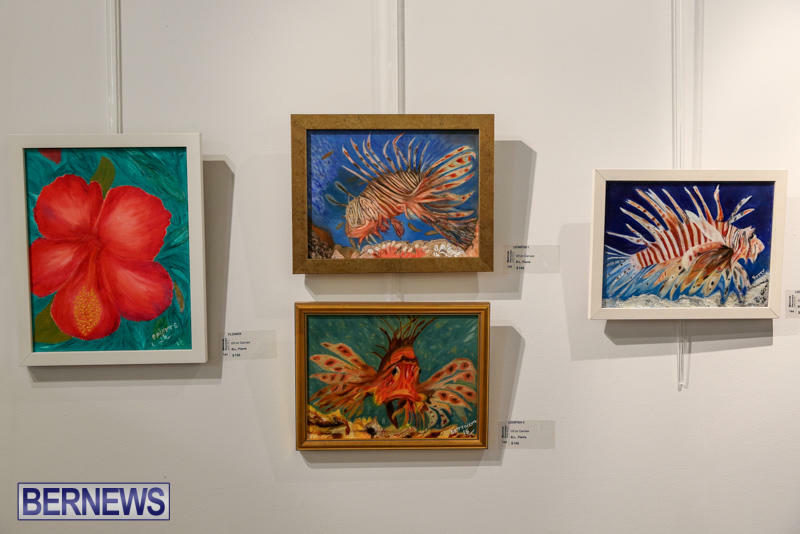 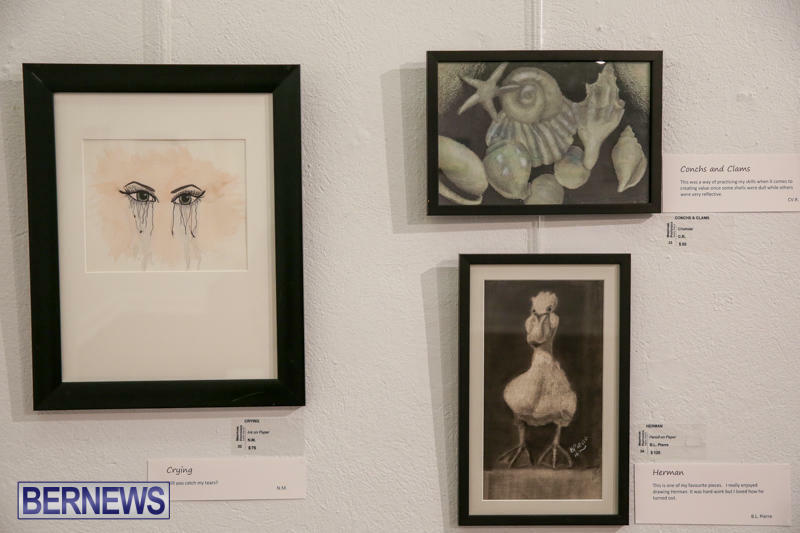 Featuring art, photography and creative writing, the exhibition had its opening reception on Friday, with the artists, photographers and creative writers all in attendance. 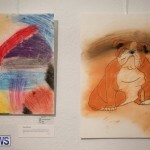 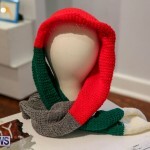 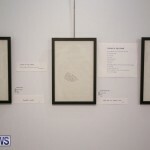 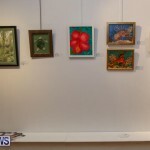 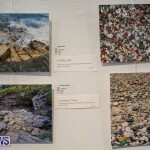 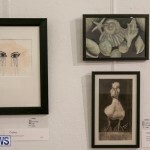 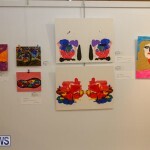 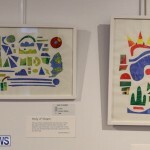 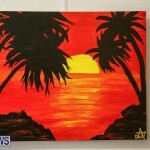 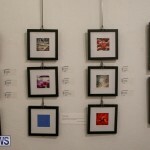 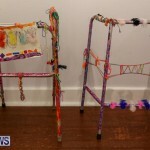 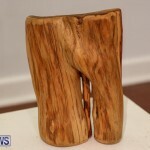 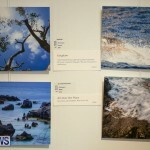 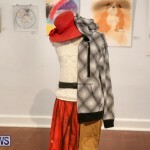 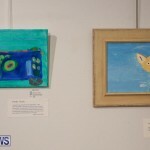 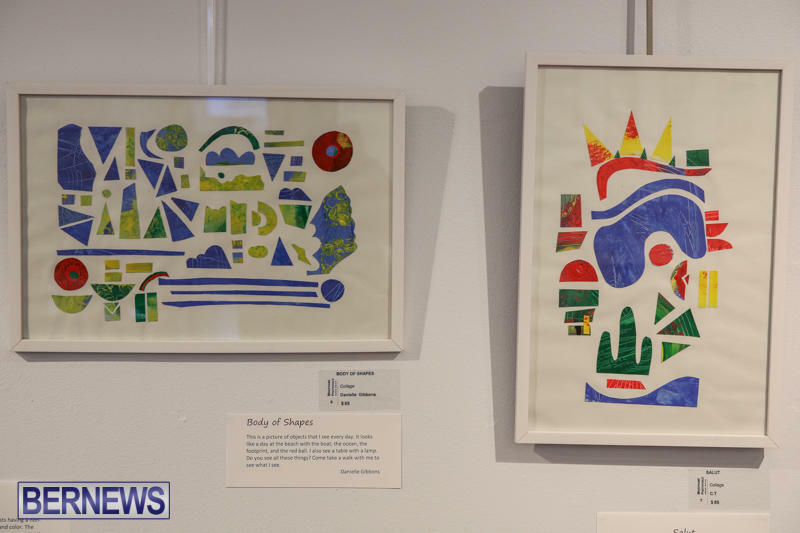 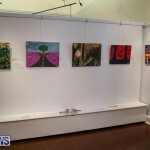 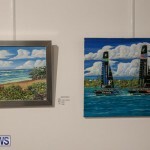 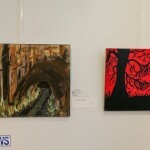 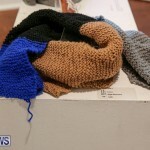 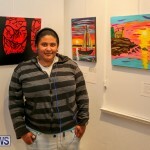 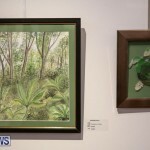 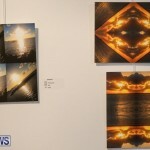 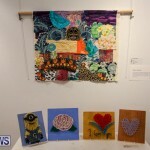 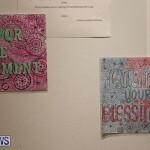 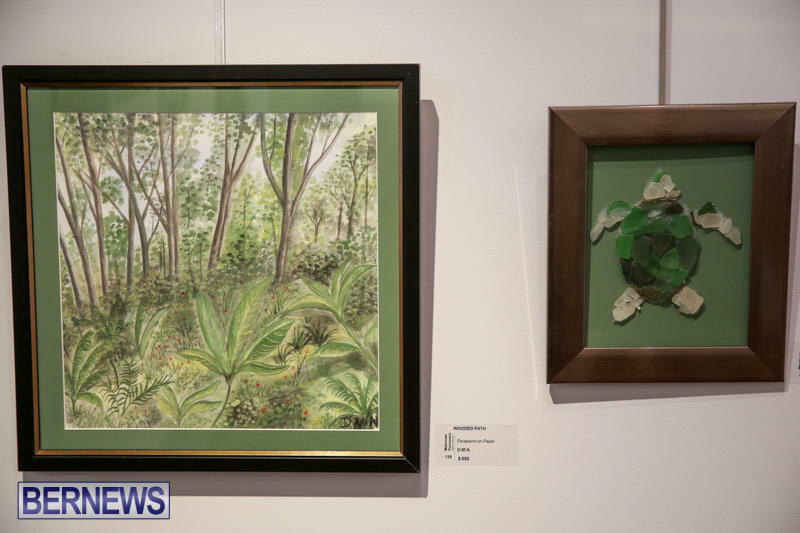 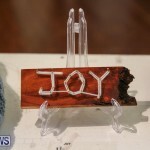 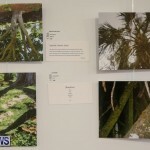 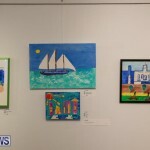 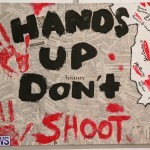 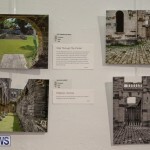 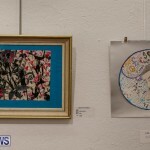 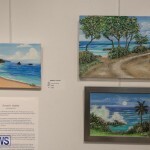 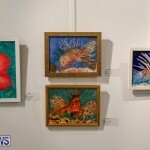 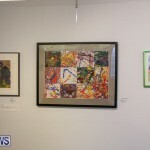 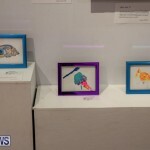 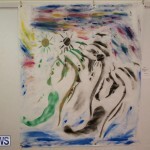 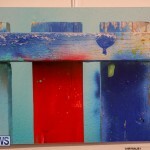 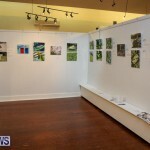 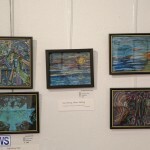 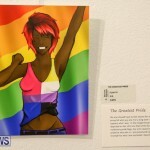 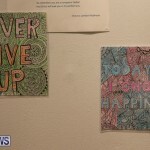 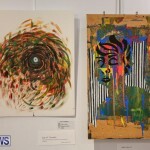 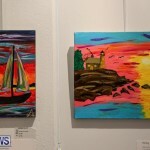 Reilly Ingham, Art Therapist at MWI, said, “This is an amazing exhibition of work. 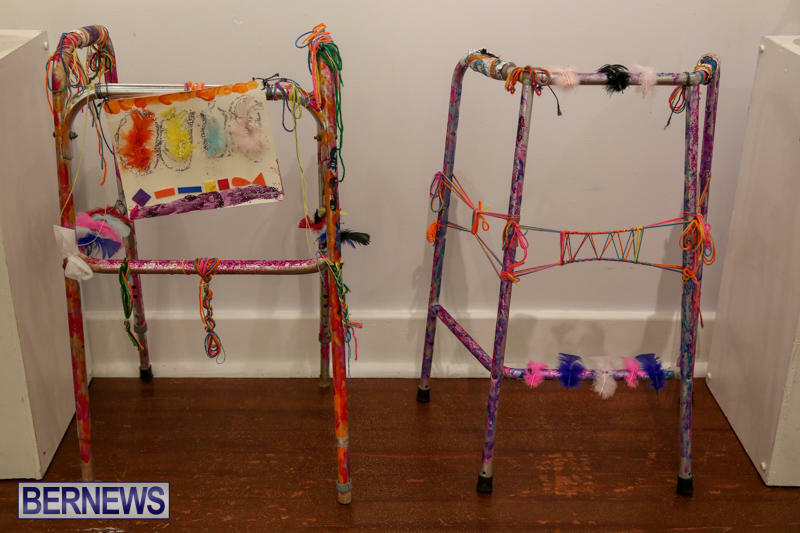 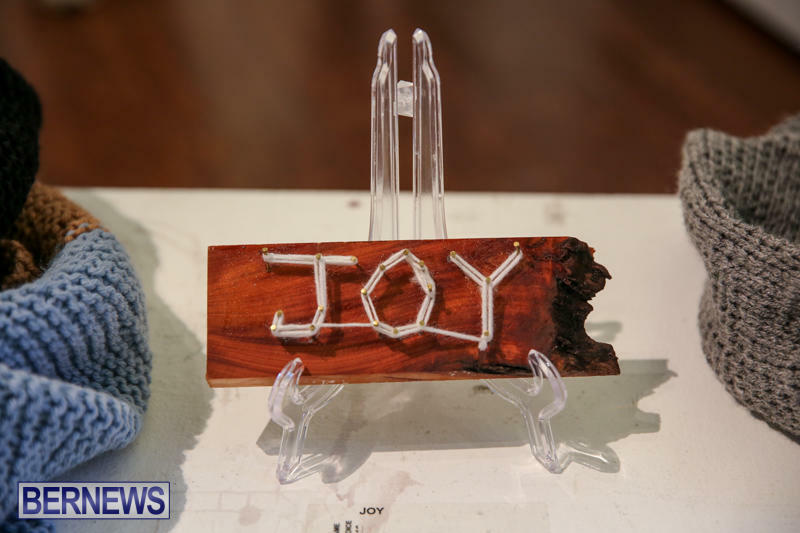 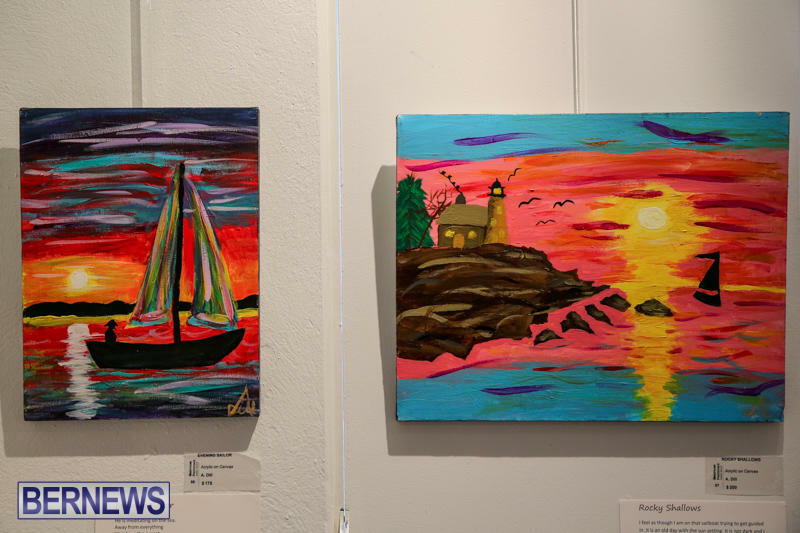 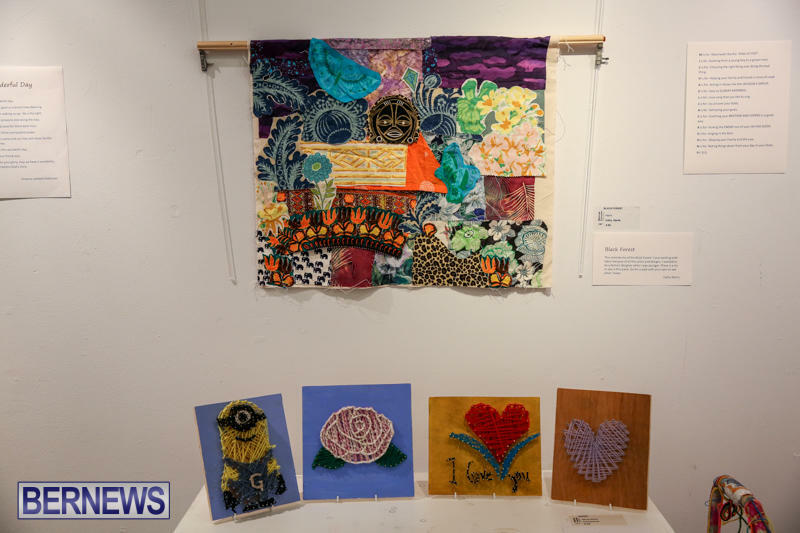 Not only does it demonstrate the creativity and abilities of the people who use our services, but it gives a profound insight into the lives of people who often don’t have a voice in our community. 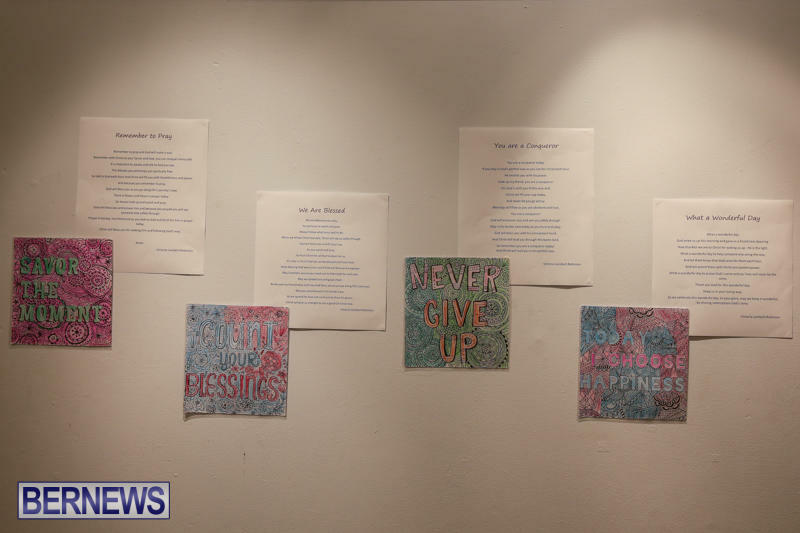 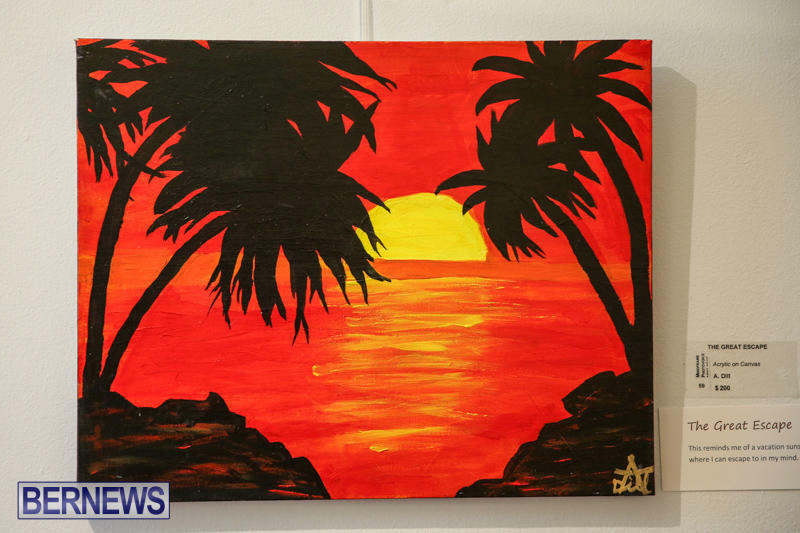 Akilah Lapsley-Dyer, Occupational Therapist at MWI, said, “Through art, photography and writing therapies, our service users grow and learn to appreciate their own talents and perspectives on life. 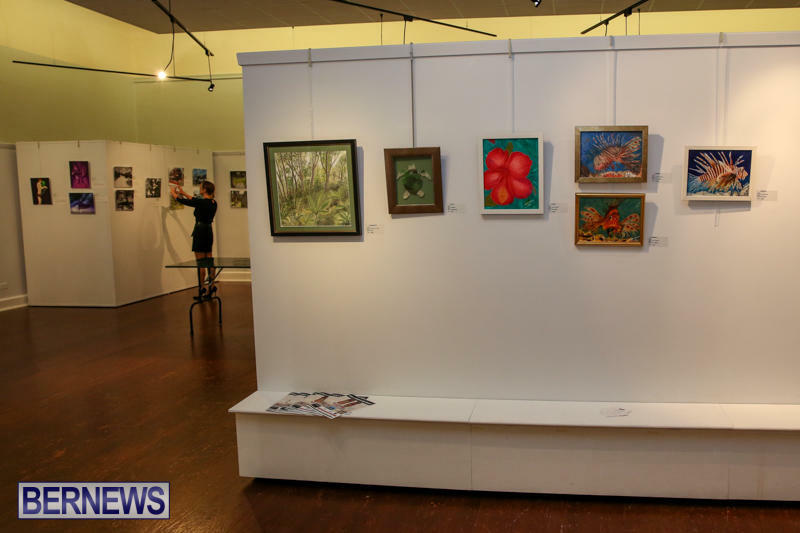 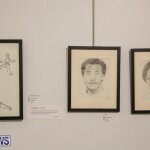 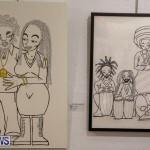 We have provided commentaries for all the art and photographic contributions from the individuals in the show.